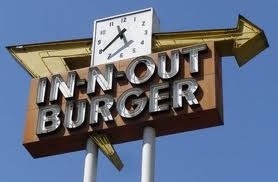 Thank goodness for the delicious comfort of In-N-Out burger. You are recession and heartbreak conscious. I, and millions of fellow double-double-animal-style fans, will probably file a class action suit against you in 30 years for your addictive flavor. However, for now you are keen and I’m glad to know you’re there through the thick and thin of life.